Lori Singleton-Clarke won a court battle with the IRS without the help of a lawyer thanks in part to her meticulous record-keeping. 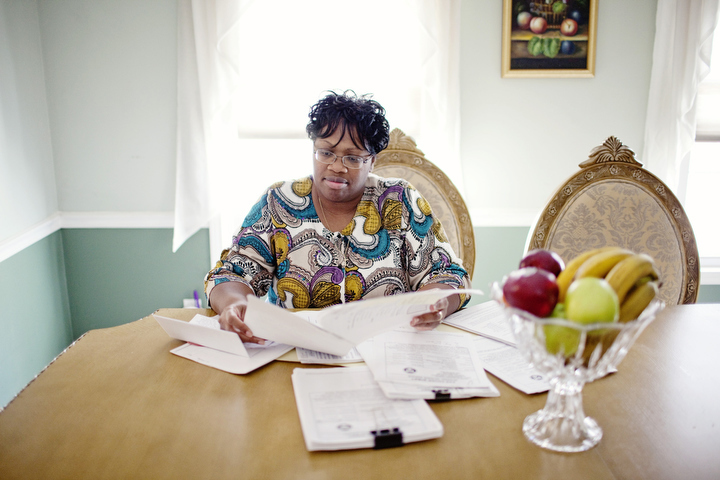 She is seen here at her home in Bryantown, MD with some of the paperwork that she put together to make her case, much of which she has not looked at since her ordeal ended. Posted on 02/24/2010 by Melissa Golden. This entry was posted in . Bookmark the permalink.